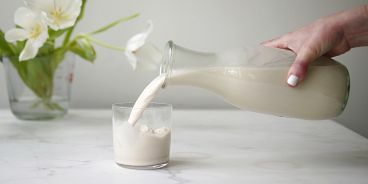 A recent visit to Melbourne’s beloved Monk Bodhi Dharma inspired me to try making ‘almond cream’ at home. Their lattes were so unbelievably creamy, I couldn’t resist asking for their secret. 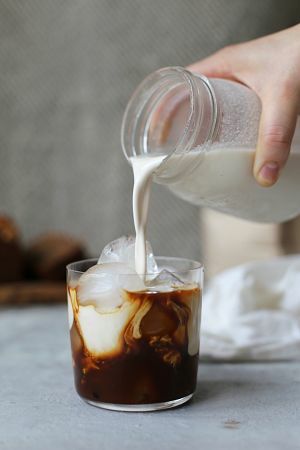 A barista revealed that their house-made almond milk was made by adding “just enough water to cover the almonds in the blender”. So, I attempted at home and….wow. This stuff is ridiculously delicious and even creamier than dairy cream. I hope you love it as much as I do. 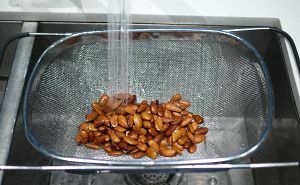 Once your nuts have soaked, dump them into a sieve to drain the water. Rinse with fresh water. Now, add them to your high-powered blender (like a Vitamix) along with one cup of filtered water. If you like your almond cream a bit sweet, add a splash of maple syrup (or dates). I also like to add a bit of vanilla bean paste. 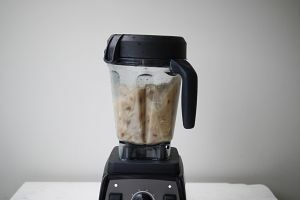 Blend your soaked nuts, water and for a good two minutes until it’s smooth and frothy. 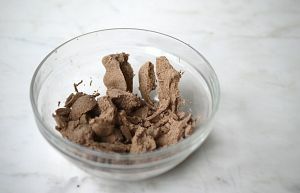 Have a taste and add more sweetener or flavouring, if you like. Grab a big bowl and either a thin t-shirt, cheesecloth, tea towel or nut milk bag (I like this one but any will work). Pour about half of your almond cream into your straining tool of choice. 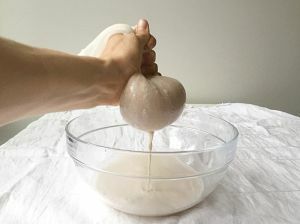 Gather the edges of the shirt/tea towel/bag, lift up and begin to milk by squeezing the liquid out of your strainer. Keep going until every last drop of cream is in your bowl. Remove the almond pulp from the bag (save it and make these Almond Pulp Crackers), give it a rinse and repeat this step with the remaining cream. Hope you love this almond cream as much as I do! !